The building of railways has had a profound but largely ignored physical impact on Britain's coasts. 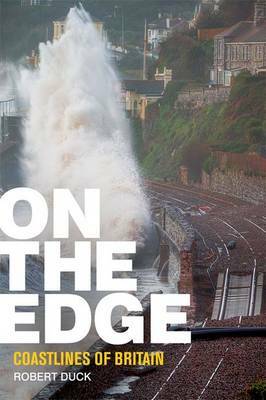 This book explores the coming of railways to the edge of Britain, the ruthlessness of the companies involved and the transformation of our coasts through the destruction or damage to the environment. In many places today, railways are the first defence against the sea and similarly the embankments of long-closed lines act as sea walls. It is ironic, at a time when climate change is very much favouring rail as a means of transport, that many lines are increasingly exposed to extreme weather and the very actions associated with their construction have exacerbated coastal erosion. With the benefit of hindsight, many coastal railways have been built in locations that would not have been chosen today. As our climate changes and storminess potentially increases, what might be the implications for some of Britain's lines on the edge?